ROGERS, Ark. – Tournament officials announced today that the Walmart NW Arkansas Championship presented by P&G will extend a sponsor’s exemption invite to the individual champion of the 2019 NCAA Division I Women’s Golf Championships. This exemption will provide an amateur collegiate golfer the opportunity to compete against top-ranked LPGA professionals at the #NWAChampionship, held June 24 – 30 at Pinnacle Country Club in Rogers, Ark. 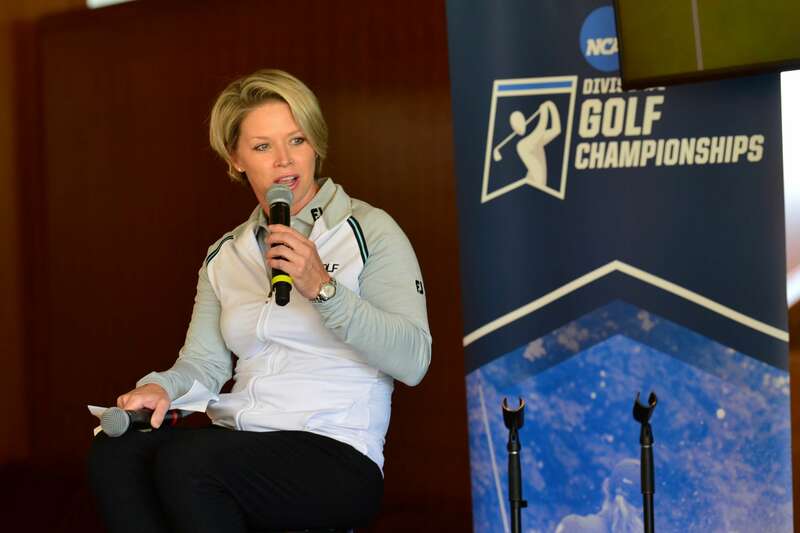 The 2019 NCAA Division I Women’s Golf Championships will be held May 17 – 22 at Blessings Golf Club in Fayetteville, Ark. The event is a 72-hole stroke play team competition that concludes with the top eight teams competing in match play. Individual medalist honors are awarded to the lowest scoring participant after four days of stroke play on Monday, May 20. In addition, the Walmart NW Arkansas Championship presented by P&G will also award a sponsor’s exemption to the top-ranked member of the University of Arkansas Women’s Golf Team through the event’s Road to the #NWAChampionship program. This exemption will be announced in late May after the conclusion of the collegiate season. Tickets for the #NWAChampionship are available online at www.NWAChampionship.com. Daily tickets are only $10 and kids 17 and under receive free admission with a ticketed adult. A premier stop on the LPGA Tour, the Walmart NW Arkansas Championship presented by P&G returns June 24-30, 2019. 144 of the world’s best female golfers are set to compete at Pinnacle Country Club in Rogers, vying for a $2,000,000 purse. The week-long schedule of events also includes a food festival, women’s summit, 5k race and other community-driven events. Learn more about the tournament online at www.NWAChampionship.com. At Octagon, we inspire brands, talent, and our people to see the world for all its potential. Then, we help our clients pick the right opportunity to make the next right move. We are a passionate team of 800 savvy veterans and bold upstarts, relentlessly committed to helping our clients and our teammates push forward. What’s Your Move? See more at Octagon.com and join us @Octagon.